hd00:26Young man talking on the phone on his big balcon. hd00:17Portrait of young man with virtual reality glasses interacting with gestures isolated on white background. 4k00:24Young man using vr glasses for watching the video at the lunch time in the modern office. 4k00:30A man walking on a street wearing sunglasses filmed from close up and in profile. Shallow depth. 4k00:29Man in Virtual Reality Glasses. 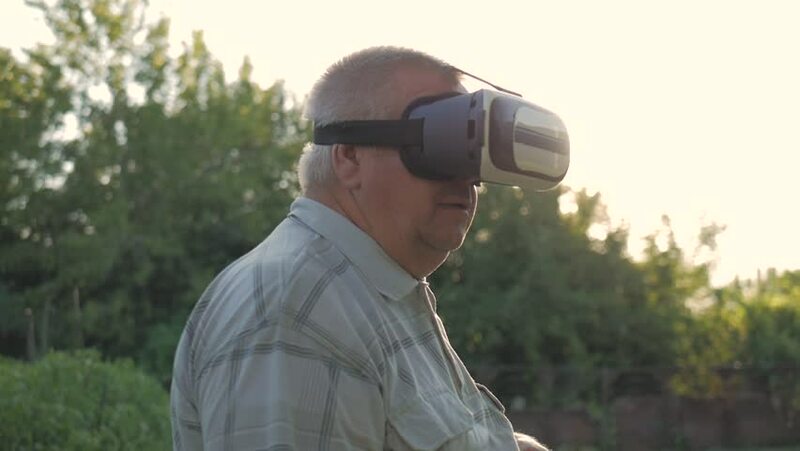 Man in a virtual reality mask looks around. 4K.